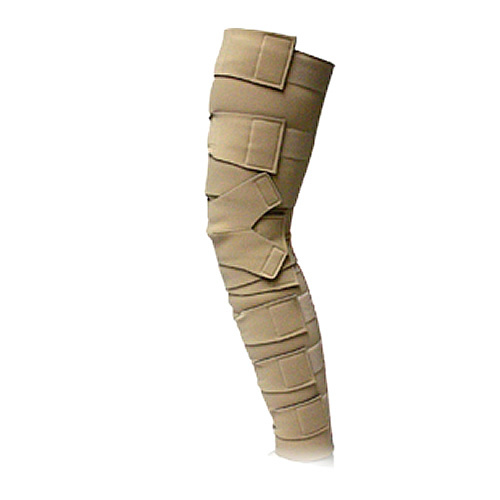 Circaid Wrap, Farrow Wraps & Other Compression Wraps for Legs - Spectrum Healthcare, Inc. 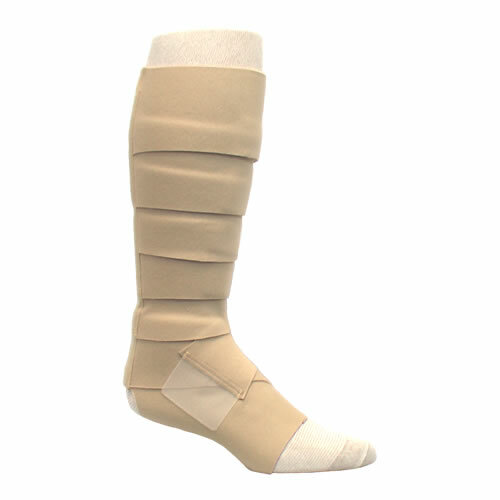 Compression to the lower extremities is used to increase healing of venous stasis ulcers by improving the blood supply and reducing edema and distension. Compression wraps are available in elastic or non-elastic and in single to multilayer systems requiring varying types of application and exerting different levels of compression. Elimination of edema is so basic and important to venous ulcer healing that the most effective level of compression should be used. Controversy exists regarding the most effective sub-bandage pressure (ranging from 20 mm Hg to 45 mm Hg) for timely healing. Because of differences in compression leg wraps, selection of the most effective and efficient compression wraps for legs can be difficult. The purpose of this integrated review was to determine healing rates of venous ulcers with various compression wraps. Compression wraps are bandages that help control swelling when used with correct assessment, application, and fit by the patient or caregiver, along with compliance and mobility of the patient. The CompreFit is an all new, non-elastic lower extremity garment that provides 30-40 mmHg gradient compression. 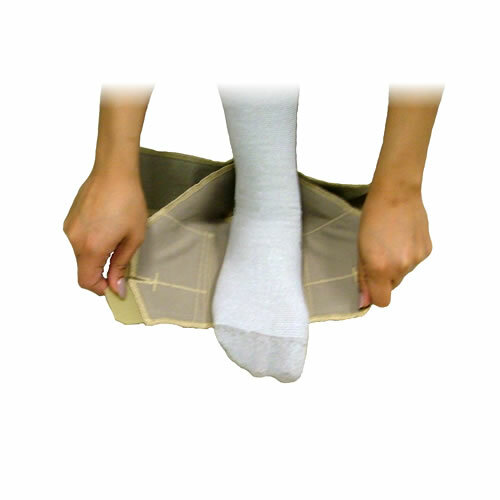 Easier to put on than elastic stockings with similar compression, the CompreFit promotes a high rate of compliance. Made from polyester and Velcro™ the CompreFit is lightweight, durable, and very comfortable. 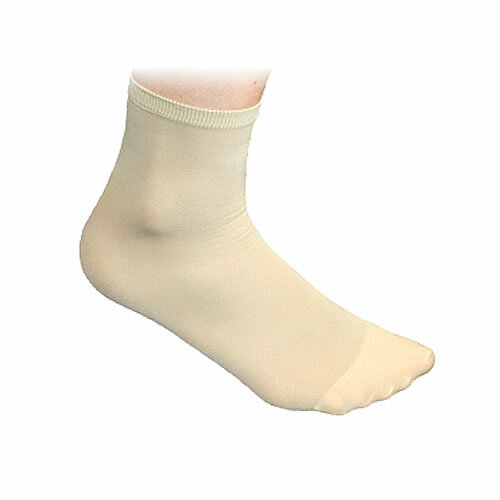 The CompreFit is available in beige or black, matching with the colors of most clothing. The unique design offers up to 4 inches (10cm) of circumferential adjustability. The length can also be adjusted up to 1 inch (2.5cm). There are only five easy measurements to take to determine the optimal size. The interlocking and overlapping strap design makes it easy to achieve consistent, gradient compression. 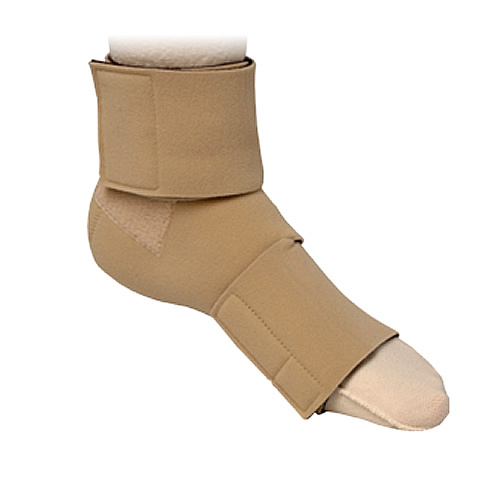 The CompreFit is designed for daytime use for individuals with the following indications: lymphedema, post-surgical swelling, chronic venous insufficiency, and is effective in the treatment of venous stasis ulcers. Contraindications include severe arterial insufficiency, infections, and phlebitis. The consistent, gradient compression, combined with natural pumping action of the leg muscles during normal movement, provide a highly effective mode for edema reduction. The CompreFit is extremely durable and can be machine washed/dried. CompreFit is easy to apply. The CompreFit costs less than other national brands offering similar compression and last longer than bandages. The CompreFit also saves hundreds of hours per year when compared to wrapping and rerolling bandages. The Juxta-Fit CircAid wrap is unlike any of the other available compression wraps in that they provide clinically proven, inelastic, adjustable and thereby sustainable compression in the treatment of venous stasis ulcers. The Juxta-Lock™ (alternating) Band System provides a level of simplicity, comfort and freedom from adjustment while simultaneously enabling the recommended level of compression for each individual’s needs. With these compression wraps for legs, patented technology provides a form-fitting experience that makes the use of inserts a thing of the past. Firmness and comfort with the necessary level of compression can be easily achieved with the variable adjustment of the CircAid wrap. You can wear these superior compression wraps for legs all day and all night with minimal adjustment for increased comfort in the evening. The Juxta-Fit has supremely variable band widths that can accommodate the shape of any limb and necessary compression level. The Upper, Knee and even the Whole Legging sections are custom-made so that they can be fitted and combined for the creation of six different CircAid wrap garment options. The Juxta-Fit CircAid Wrap is available in configurations that rise from the foot to just above-the-knee, or from the groin to just below the knee. The ability to change the circumference diameter by as much as 20 percent allows the custom-made compression wraps to be tailored to each individual leg with superior yet comfortable fit. Minimized slipping due to the material’s limited stretch dynamic that adjusts to the limb. The CircAid Wrap Juxta-Lock™ (alternating) Band System allows for a quick and easy application and minimal adjustments that help maintain compression levels and comfortable fit. 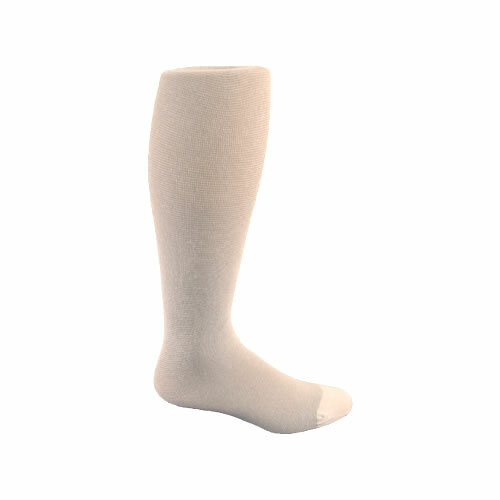 Linear stretch technology hugs the leg's contours, reduces slipping, and makes foam inserts virtually unnecessary. Adjusting the bands of the garment to a firm and comfortable compression achieves therapeutic levels of gradient compression and can be worn 24 hours a day with the bands being slightly loosened for nighttime wear. The standard legging is available in two standard lengths, 28cm and 33cm and in sizes ranging from Small to XXL with full calf options. 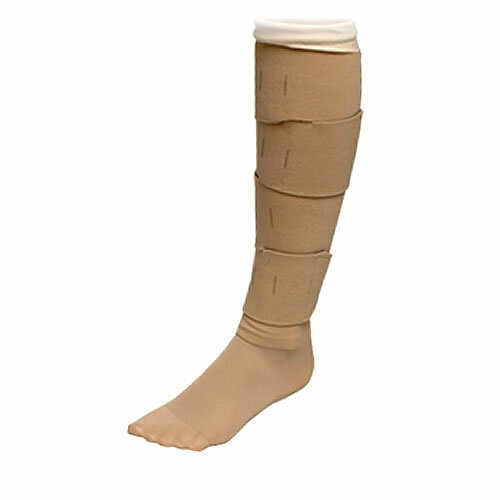 Farrow Wrap™ compression wraps for legs provide unique compression for all patients, especially those who are not able to wear compression stockings. Short stretch technology is what makes Farrow Wraps different. Short-stretch is a safe and effective technology. 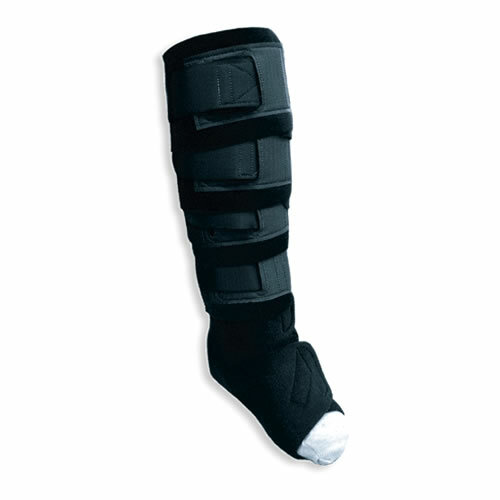 It enables lower resting compression levels and higher working compression levels. These types of compression wraps mimic calf muscle pump action and help to improve venous return. They provide more compression when needed and less when it's not. Farrow Wrap is easy to get on and off. 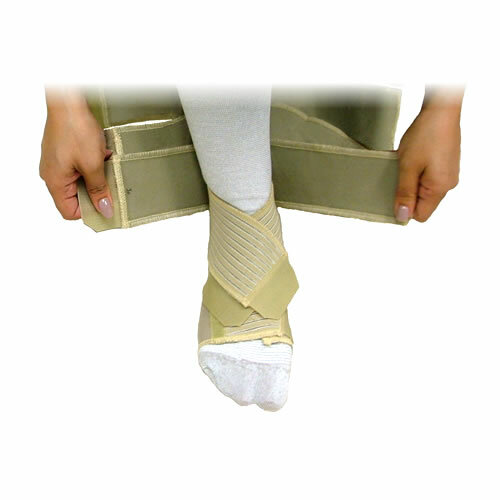 If the patient can reach the top of their foot, they can get the Farrow Wrap on and off. 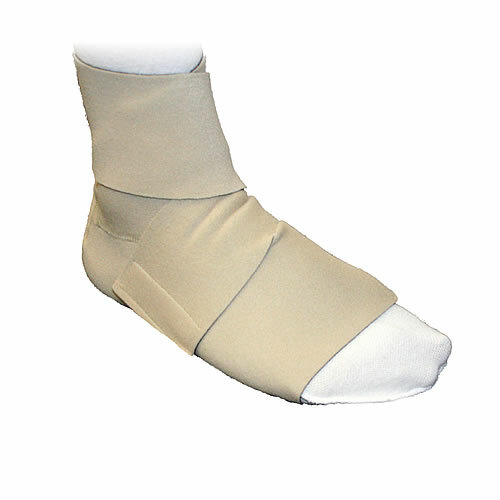 If the patient cannot, but has a family member or a friend that can reach their feet, they can easily get Farrow Wraps on and off. Farrow Wrap™ uses bands, so there is no dragging of material up and down a leg, which decreases the likelihood of tearing skin. 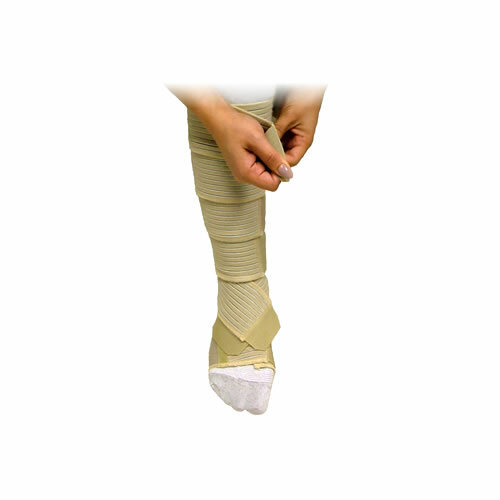 Because the Farrow Wrap™ uses bands, it can also accommodate additional swelling without elevating the limb or visiting the doctor. 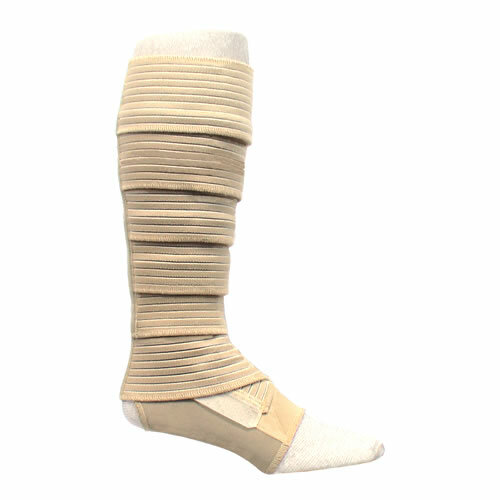 The Farrow Wraps resists rolling or sliding down the leg and so they will work on patients with hourglass-shaped legs providing reliable compression. 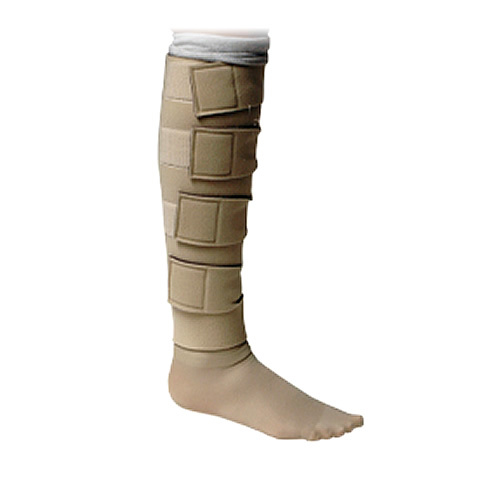 If the patient has only leg edema, a knee-high Farrow Wrap™ is all he or she needs. The Farrow Wrap™ should last at least 6 months with the proper care, and may last longer. Farrow Wrap Liners come in The Silver, Regular and Farrow Hybrid liners are all made with X-Static Silver and create an anti-microbial barrier, reducing the risk of infection and odor. No extra cost required should a patient require a custom-made Farrow Wrap Lite.